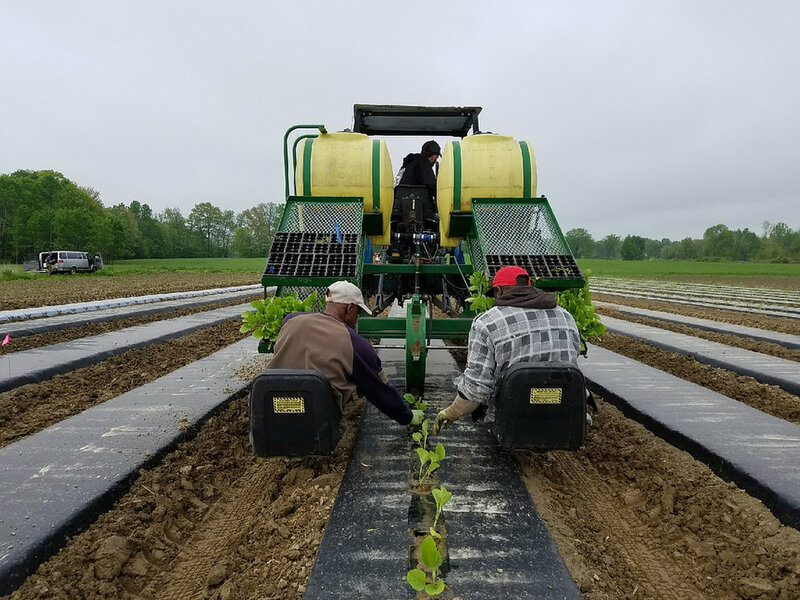 Atlas Farm field crews transferring seedlings at the start of the season. We started Hosta Hill as farmers committed to organic, ecological growing practices and healthy, local food economies. While we have chosen to focus full time on the vegetable fermentation business and put farming on hold for now, we maintain our relationship to sustainable agriculture by purchasing the vegetables for our krauts, kimchis, and hot sauces directly from organic growers in the region. Purchasing directly from independent farmers allows us to support agricultural livelihoods while ensuring access to the highest quality produce available for our ferments. At the same time, the farmers we support practice growing practices that support healthy soil and enhance the health of the land over time. The end result is a jar of fermented vegetables whose value extends from field to fork: supporting organic soil, local farm businesses, and healthy bodies.